Since 1986, Pegasus Farm has operated and grown through the generosity of individual donors, corporations, foundations, churches, civic organizations and others too numerous to mention. 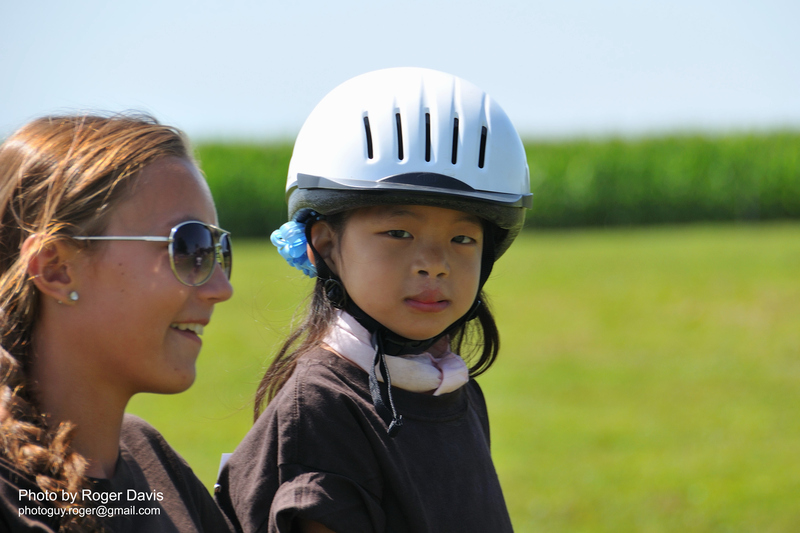 Without this support, the services offered by Pegasus Farm would not exist. 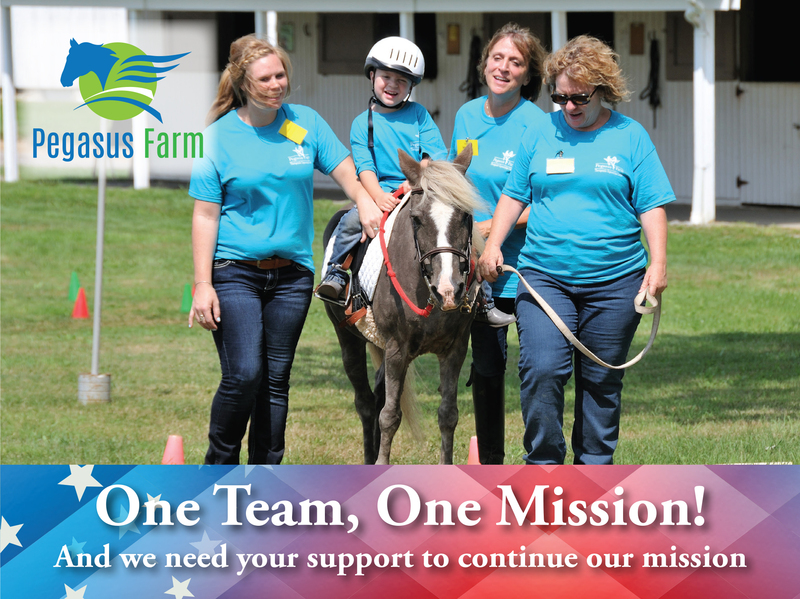 The mission of Pegasus Farm is to maximize the potential of persons with disabilities to become independent, well-rounded, self-confident individuals by providing equine activities along with recreational, social and vocational support. Pegasus Farm has been designated a 501(c)(3) organization by the Internal Revenue Service. 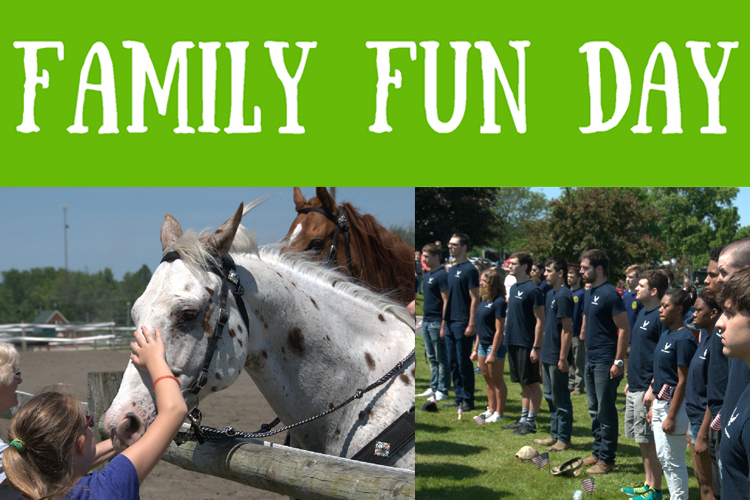 The Farm's Equestrian Program is not supported by United Way other than occasional donor-designated contributions. All donations are tax-deductible to the extent allowable by law. If you have any questions about making a gift to Pegasus Farm, please call us at 330.935.2300 ext. 101. 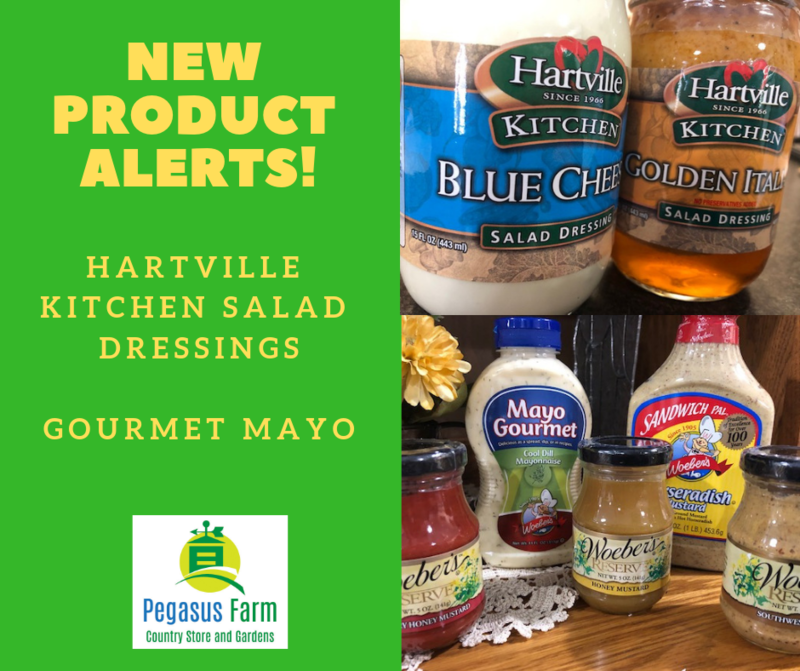 Contributions may be mailed to Pegasus Farm, 7490 Edison St. NE, Hartville, Ohio 44632. Please be reminded that the US Postal Service recommends you should not send cash in the mail. Is your organization or group interested in conducting a fundraiser for a great charitable cause? 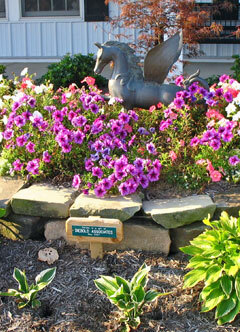 Please remember Pegasus Farm and consider us as the beneficiary of your fundraising efforts. If you need any information or materials about Pegasus Farm, we will be happy to assist. You know of a Pegasus Farm event, but you are not able to attend. That's alright-you can still make a contribution to support our efforts! You may designate Pegasus Farm as the recipient of memorial gifts at your passing or that of a loved one. The Farm will maintain accounting of all contributions made to the memorial and send acknowledgements to donors at your request. Contact the Farm at 330.935.2300 ext. 101 with any questions. Donors may also use our secure online donation form here. You can celebrate an event or achievement by making a donation you know will serve a meaningful, charitable cause. Does your business select a charity that will benefit from the proceeds of your fundraiser or event? Pegasus Farm would be happy to serve as your charity and support your effort. Please consider making a contribution that will be used to support our programs and services. Remember, there are tax advantages to donating to non-profit organizations that may be very beneficial at tax time! Contact us today to be added to our Annual Fund Drive list of valued donors. 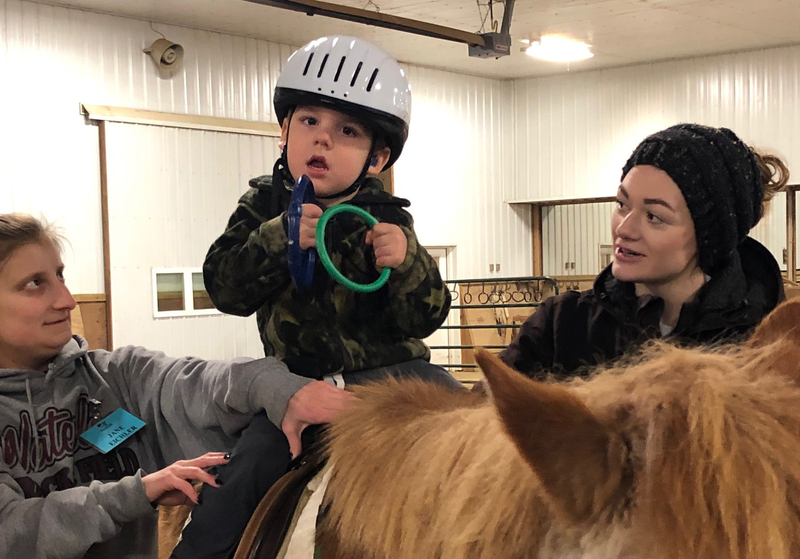 Many of our program participants struggle to afford the cost of therapeutic riding lessons because of extraordinary medical costs or other expenses related to the participant's disability. In order to eliminate any financial barriers that would prevent individuals with disabilities from accessing our programs, Pegasus, along with the help of other generous donors, has established the Cole Surmay Memorial Scholarship Fund. Distributions from this fund are used to help cover participant lesson fees. Your donation of $1,000 will enable Pegasus to provide a year's worth of lessons to a participant who could not otherwise afford the cost of the therapy program. Pegasus Farm maintains a herd of 35 specially trained therapy horses year-round. The average cost of caring for one horse is nearly $3,000 each year. You can sponsor a horse at any level: a year, a month, a week, etc. Many of our Horse Sponsors spend time getting to know their horse and feel very good about the work they do for our participants.